Cragar 441 / ser. 441 SIZE 15x10" PCD 5x114,3 ( 4,5" ) Center Bore 83,8 Chromed Load rating : 681kg / per wheel. Center cap sold separately. Cragar 441 / ser. 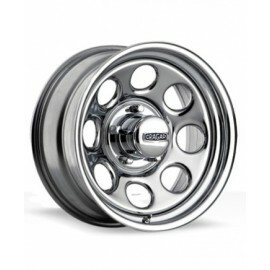 441 SIZE 15x8,0" PCD 5x120,65 ( 4,75" ) Center Bore 83,8 Chromed Load rating : 681kg / per wheel. Center cap sold separately. Cragar Black Daytona / ser. 342 SIZE 15x10" PCD 5x127 ( 5" ) Center Bore 83,8 Black Load rating : 681 kg / per wheel. Center cap sold separately. Cragar Black Daytona / ser. 342 SIZE 15x10" PCD 6x139,7 ( 5,5" ) Center Bore 108 Black Load rating : 681 kg / per wheel. Center cap sold separately. Cragar Black Daytona / ser. 342 SIZE 15x10" PCD 5x114,3 ( 4,5" ) Center Bore 83,8 Black Load rating : 681 kg / per wheel. Center cap sold separately. Cragar Black Daytona / ser. 342 SIZE 15x7,0" PCD 5x114,3 ( 4,5" ) Center Bore 83,8 Black Load rating : 726 kg / per wheel. Center cap sold separately. Cragar Black Daytona / ser. 342 SIZE 15x7,0" PCD 5x127 ( 5" ) Center Bore 83,8 Black Load rating : 726 kg / per wheel. Center cap sold separately. Cragar Black Daytona / ser. 342 SIZE 15x8,0" PCD 5x127 ( 5" ) Center Bore 83,8 Black Load rating : 681 kg / per wheel. Center cap sold separately. Cragar Black Daytona / ser. 342 SIZE 15x8,0" PCD 5x114,3 ( 4,5" ) Center Bore 83,8 Black Load rating : 681 kg / per wheel. Center cap sold separately. Cragar Black Daytona / ser. 342 SIZE 15x8,0" PCD 6x139,7 ( 5,5" ) Center Bore 108 Black Load rating : 681 kg / per wheel. Center cap sold separately. Cragar Black Daytona / ser. 342 SIZE 15x8,0" PCD 5x120,65 ( 4,75" ) Center Bore 83,8 Black Load rating : 681 kg / per wheel. Center cap sold separately. Cragar Black Daytona / ser. 342 SIZE 16x10" PCD 8x6,5" Black Center cap sold separately. Cragar Black Daytona / ser. 342 SIZE 16x10" PCD 6x5,5" Black Center cap sold separately. Cragar Black Daytona / ser. 342 SIZE 16x7,0" PCD 5x120,65 ( 4,75" ) Center Bore 83,8 Black Load rating : 772kg / per wheel. Center cap sold separately. Cragar Black Daytona / ser. 342 SIZE 16x7,0" PCD 5x114,3 ( 4,5" ) Center Bore 83,8 Black Load rating : 772kg / per wheel. Center cap sold separately. Cragar Black Daytona / ser. 342 SIZE 16x8,0" PCD 5x120,65 ( 4,75" ) Center Bore 83,8 Black Load rating : 772kg / per wheel. Center cap sold separately. Cragar Black Daytona / ser. 342 SIZE 16x8,0" PCD 5x127 ( 5" ) Center Bore 83,8 Black Load rating : 772kg / per wheel. Center cap sold separately. Cragar Black Daytona / ser. 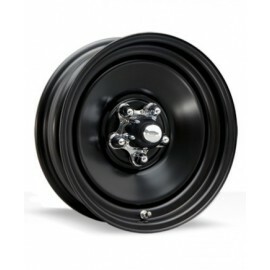 342 SIZE 16x8,0" PCD 5x114,3 ( 4,5" ) Center Bore 83,8 Black Load rating : 772kg / per wheel. Center cap sold separately. Cragar Black Soft 8 / ser. 397 SIZE 15x10" PCD 5x139,7 ( 5,5" ) Center Bore 108 Black Load rating : 998kg / per wheel. Center cap sold separately. Cragar Black Soft 8 / ser. 397 SIZE 15x10" PCD 5x120,65 ( 4,75" ) Center Bore 83,8 Black Load rating : 998kg / per wheel. Center cap sold separately. Cragar Black Soft 8 / ser. 397 SIZE 15x10" PCD 6x139,7 ( 5,5" ) Center Bore 108 Black Load rating : 998kg / per wheel. Center cap sold separately. Cragar Black Soft 8 / ser. 397 SIZE 15x10" PCD 5x127 ( 5" ) Center Bore 83,8 Black Load rating : 998kg / per wheel. Center cap sold separately. Cragar Black Soft 8 / ser. 397 SIZE 15x10" PCD 5x114,3 ( 4,5" ) Center Bore 83,8 Black Load rating : 998kg / per wheel. Center cap sold separately. Cragar Black Soft 8 / ser. 397 SIZE 15x7,0" PCD 5x114,3 ( 4,5" ) Center Bore 83,8 Black Load rating : 998kg / per wheel. Center cap sold separately. Cragar Black Soft 8 / ser. 397 SIZE 15x7,0" PCD 5x139,7 ( 5,5" ) Center Bore 108 Black Load rating : 998kg / per wheel. Center cap sold separately. Cragar Black Soft 8 / ser. 397 SIZE 15x8,0" PCD 5x114,3 ( 4,5" ) Center Bore 83,8 Black Load rating : 998kg / per wheel. Center cap sold separately. Cragar Black Soft 8 / ser. 397 SIZE 15x8,0" PCD 5x139,7 ( 5,5" ) Center Bore 108 Black Load rating : 998kg / per wheel. Center cap sold separately. Cragar Black Soft 8 / ser. 397 SIZE 15x8,0" PCD 5x120,65 ( 4,75" ) Center Bore 83,8 Black Load rating : 998kg / per wheel. Center cap sold separately. Cragar Black Soft 8 / ser. 397 SIZE 15x8,0" PCD 6x139,7 ( 5,5" ) Center Bore 108 Black Load rating : 998kg / per wheel. Center cap sold separately. Cragar Black Soft 8 / ser. 397 SIZE 15x8,0" PCD 5x127 ( 5" ) Center Bore 83,8 Black Load rating : 998kg / per wheel. Center cap sold separately. Cragar Black Soft 8 / ser. 397 SIZE 16x7,0" PCD 5x120,65 ( 4,75" ) Center Bore 83,8 Black Load rating : 1362kg / per wheel. Center cap sold separately. Cragar Black Soft 8 / ser. 397 SIZE 16x7,0" PCD 8x170 Center Bore 130,8 Black Load rating : 1362kg / per wheel. Center cap sold separately. Cragar Black Soft 8 / ser. 397 SIZE 16x7,0" PCD 5x127 ( 5" ) Center Bore 83,8 Black Load rating : 1362kg / per wheel. Center cap sold separately. Cragar Black Soft 8 / ser. 397 SIZE 16x7,0" PCD 8x165,1 ( 6,5" ) Center Bore 130,8 Black Load rating : 1362kg / per wheel. Center cap sold separately. Cragar Black Soft 8 / ser. 397 SIZE 16x8,0" PCD 5x127 ( 5" ) Center Bore 83,8 Black Center cap sold separately. Cragar Black Soft 8 / ser. 397 SIZE 16x8,0" PCD 8x170 Center Bore 130,8 Black Load rating : 1362kg / per wheel. Center cap sold separately. Cragar Black Soft 8 / ser. 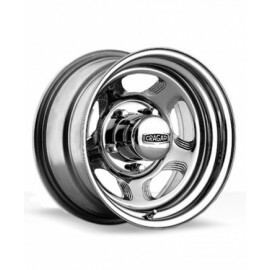 397 SIZE 16x8,0" PCD 6x139,7 ( 5,5" ) Center Bore 108 Black Center cap sold separately. Cragar Black Soft 8 / ser. 397 SIZE 16x8,0" PCD 5x114,3 ( 4,5" ) Center Bore 83,8 Black Center cap sold separately. Cragar Black Soft 8 / ser. 397 SIZE 16x8,0" PCD 8x165,1 ( 6,5" ) Center Bore 130,8 Black Load rating : 1362kg / per wheel. Center cap sold separately. Cragar Black Soft 8 / ser. 397 SIZE 17x8,0" PCD 8x165,1 ( 6,5" ) Center Bore 130,8 Black Load rating : 1657kg / per wheel. Center cap sold separately. Cragar Chrome Soft 8 / ser. 398 SIZE 15x8,0" PCD 6x139,7 ( 5,5" ) Center Bore 108 Chromed Load rating : 998kg / per wheel. Center cap sold separately. Cragar Chrome Soft 8 / ser. 398 SIZE 16x7,0" PCD 6x139,7 ( 5,5" ) Center Bore 108 Chromed Load rating : 1362kg / per wheel. Center cap sold separately. Cragar Chrome Soft 8 / ser. 398 SIZE 16x7,0" PCD 8x165,1 ( 6,5" ) Center Bore 130,8 Chromed Load rating : 1362kg / per wheel. Center cap sold separately. Cragar Chrome Soft 8 / ser. 398 SIZE 16x8,0" PCD 8x165,1 ( 6,5" ) Center Bore 130,8 Chromed Load rating : 1362kg / per wheel. Center cap sold separately. Cragar Chrome Soft 8 / ser. 398 SIZE 17x8,0" PCD 8x170 Center Bore 130,8 Chromed Load rating : 1657kg / per wheel. Center cap sold separately. Cragar Chrome Soft 8 / ser. 398 SIZE 17x8,0" PCD 8x165,1 ( 6,5" ) Center Bore 130,8 Chromed Load rating : 1657kg / per wheel. Center cap sold separately. Cragar Delux / ser. 69 SIZE 15x6,0" PCD 5x127 ( 5" ) Center Bore 83,8 Black Load rating : 681kg / per wheel. Center cap sold separately. Cragar Delux / ser. 69 SIZE 15x6,0" PCD 5x120,65 ( 4,75" ) Center Bore 83,8 Black Load rating : 681kg / per wheel. Center cap sold separately.